Last week I talked about the Pantone Color of the Year winner, Green, and how it will affect design in 2017 and going forward. (Something I’m personally excited about!) But this week, I thought I would go into design trends a little more thoroughly and touch on the Top 5 Design Trends predicted to be big in 2017! I do a lot of reading and researching about design, so when a new year comes around, I’m always interested to know what the experts are predicting will be the new big “things.” As I mentioned before, I’m not one to be a slave to trends, but I do like to know what is happening in design in general, and it’s always nice to add some aspect of trends in order to keep our interiors from getting stale. 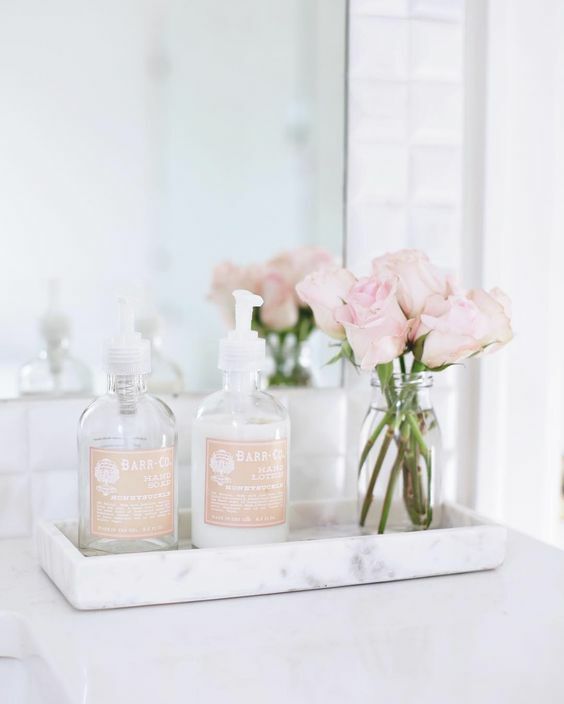 The same way we buy a new blouse or a scarf or some other new style in clothing, it’s nice to add some small items or accessories that incorporate a new trend in design without breaking the bank. So let’s talk about the Top Five Design Trends that are being talked about the most. 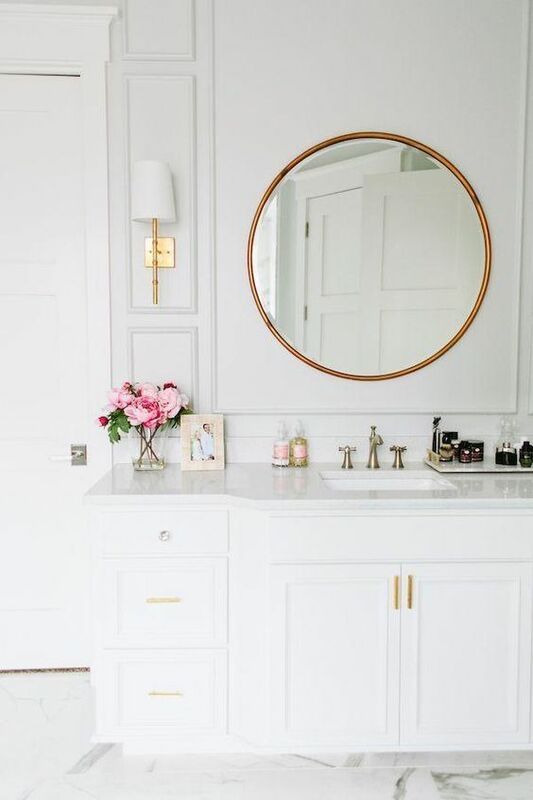 These are the ones that are on everyone’s radar…..
One of the things that seems to be happening, though this isn’t a “trend” in the true sense of the word, is that there seems to be a move toward a warmer, lived-in look and away from the minimalist styles we’ve been seeing for the past few years. And for those of us who never did the mid-century mod, or don’t like the cool, sleek, modern styles that have been most popular recently, this is great news! As you’ll see, most of these 2017 design trends fit into that overall paradigm change. Velvet is a trend that started getting really big last year in fashion, and now it seems to be hopping over to design. It’s elegant, and timeless, but it’s also cozy and luxurious and speaks to making our homes more comfortable. I’m seeing it in sofas and chairs more than ever, but an inexpensive way of incorporating it into your home would be with pillows. And they can be found almost everywhere, from Pottery Barn to Walmart, and at every price point. In love with the deep purple velvet pillows against the white linen sofas. Via Shabby Slips. 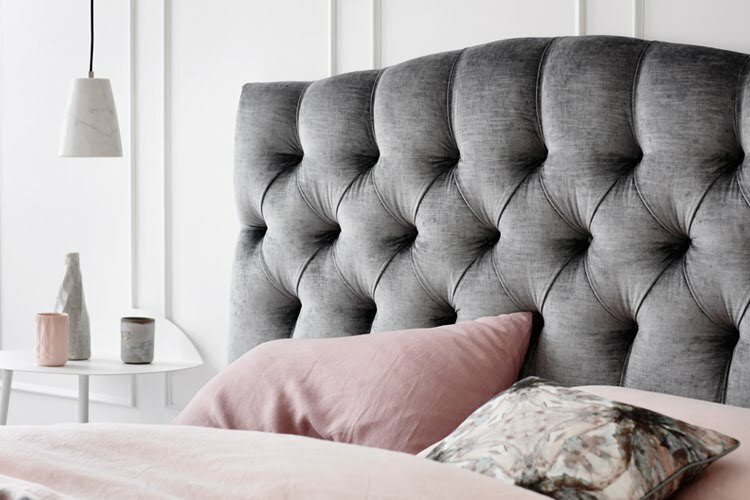 Here they’ve used grey velvet to upholster a headboard. Gorgeous! Via Heatherly Design. Here is another trend that really relates to the overall desire to make our homes our refuge from an increasingly complicated world. Texture, like velvet, makes us feel cozy and protected. And I love how much interest it adds to a room! It can come in the form of baskets (these have been on-trend for a few years now), rugs, throws (there’s that cozy factor again! ), or chunky linens. I love this basket used as art! 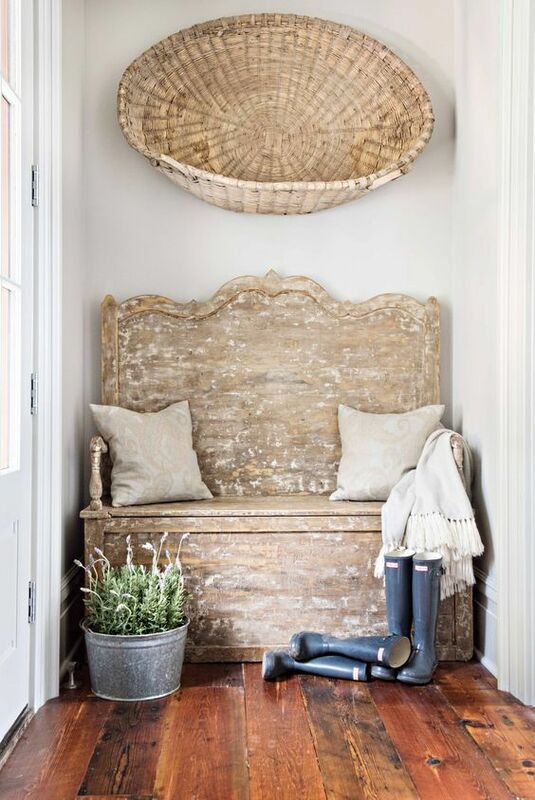 And more texture comes in the form of the cozy throw, and the vintage bench as well as the distressed floors. Just stunning! Neutrals done right – with lots of texture! Via Better Homes and Gardens. So many textural elements here! 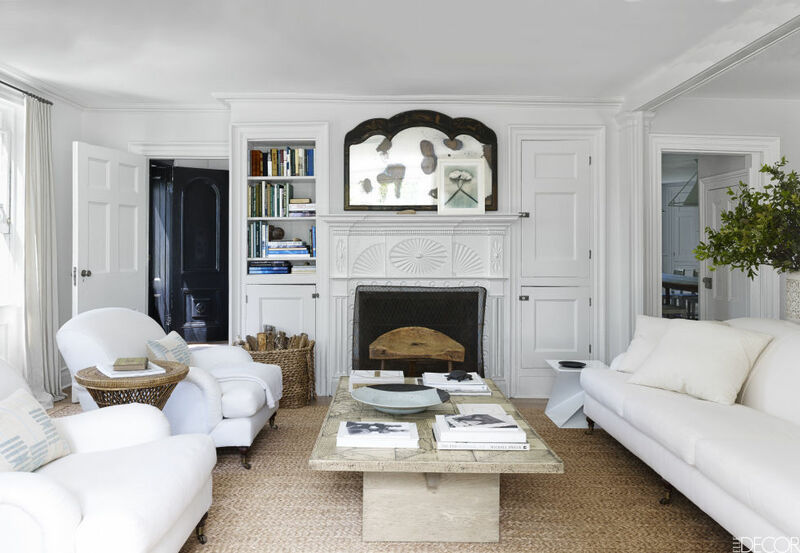 The seagrass rug, the amazing coffee table, and the side table between the two chairs. Design by Mark Cunningham. Last year copper started appearing, and then brass soon after that. These are continuing to be strong design trends and I think are a reaction to the past decade of cool silvers and nickels. The gold of metals like copper and brass add more warmth than when we use only cool metals. I think the mix of metals is another trend that we will see continuing. And I love that! Again, it makes the home feel more lived-in, collected and organic. 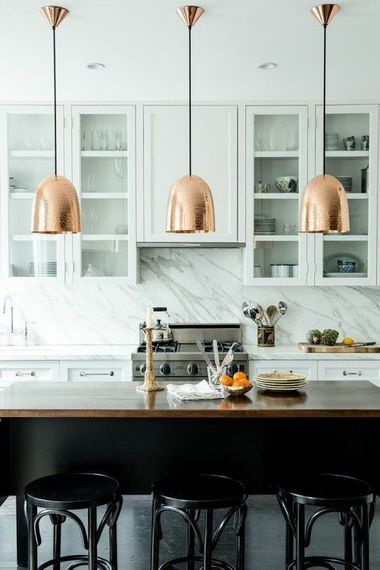 These copper pendants add so much drama to this room. Via Lonny magazine. Design by House of Jade Interiors. Via Pencil and Paper Co. 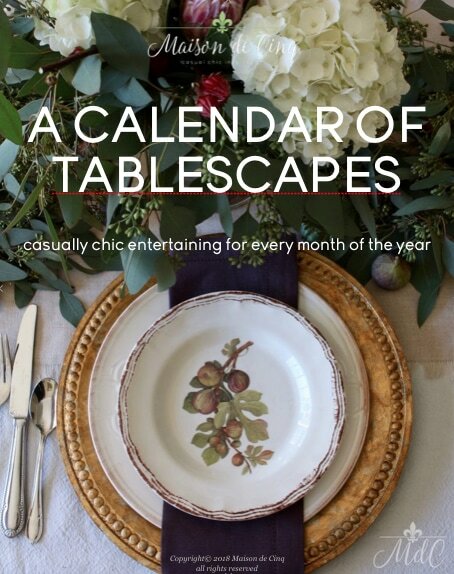 Via Elements of Style blog. Of course, if you read my post on the Pantone Color of the Year, you may already know that it’s predicted to be a big color trend this year. 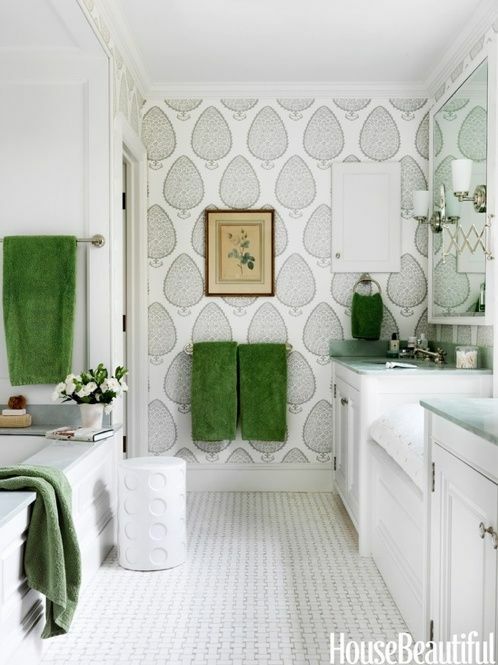 And though the Pantone color “Greenery” is a pretty bright example, every green is predicted to gain in popularity, from pale moss, to bright apple, to dark forest. Love this! 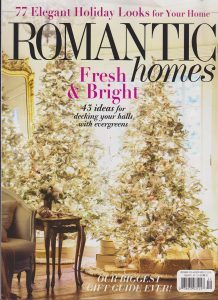 Design by Shannon Bowers via Milieu magazine. 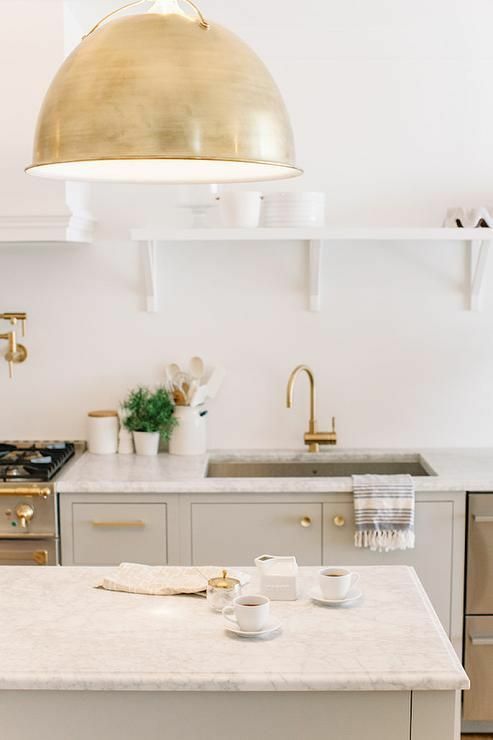 As I’m sure you know, marble in kitchens has been big for a decade or more now, but we’re seeing it trickle down into more than just kitchen counters. Marble floors will be one incarnation, but also accessories; lamps, trays, vases, and bowls. I recently picked up a little vintage marble pedestal bowl and I just adore it! 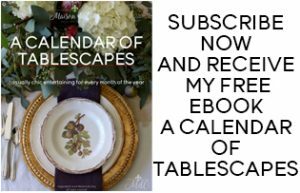 Look for it in antique malls and on Ebay, as well as in chain stores like Crate and Barrel and Pottery Barn. 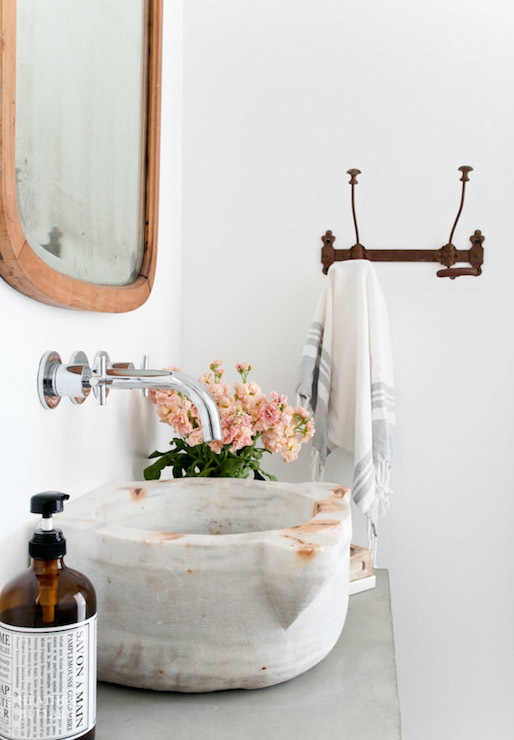 A marble tray is the perfect inexpensive way to incorporate the trend. Via caitlinwilson.com. 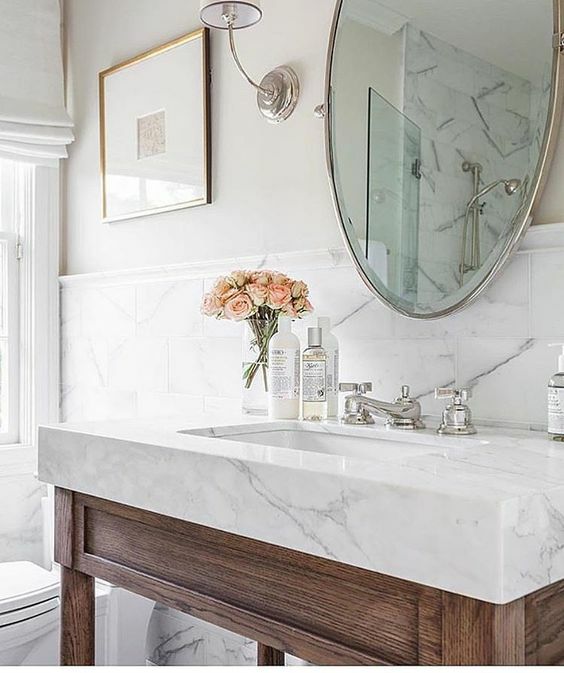 Love this marble sink. Via Heather Bullard. I do like that we are seeing a return to an emphasis on warmth and coziness in the home. The mid-century mod look that has dominated home stores in the last few years is beautiful – but also sterile. It doesn’t invite lingering; it’s beautiful in the way a museum is beautiful. It’s lovely to look at, but you wouldn’t want to lounge on the couch there, cuddling, sipping tea, reading, or spending time with family and friends. 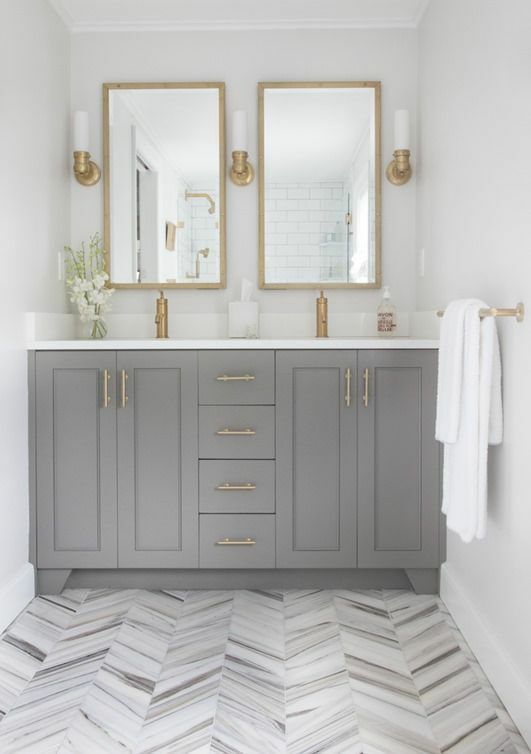 These design trends of nubby textures, rich colors, and sumptuous fabrics create an atmosphere that makes us want to stay home and make memories with those we love. And those are trends I can really get behind! An Amazing French Vintage Decor Book!